The gold and the purple are the more subtle of the trio, but I actually love the shimmering green/white shade of ‘distortion’. I think this would add a somewhat subtle but also noticeable touch of glitter. The gold shade – Midnight Cowboy – is a classic that would be amazing for Christmas parties. 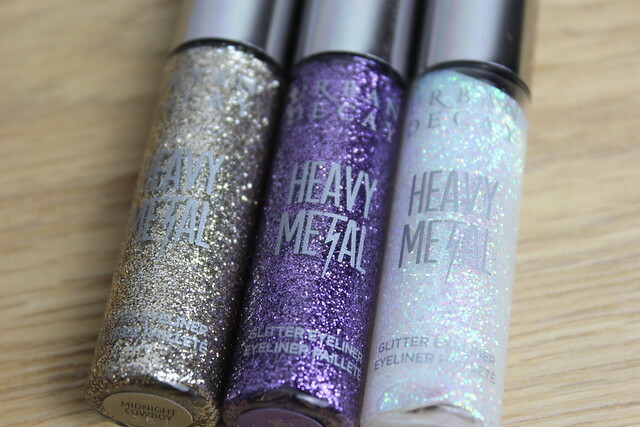 Then purple – ACDC – would be good to add a little pop to a smokey eye. 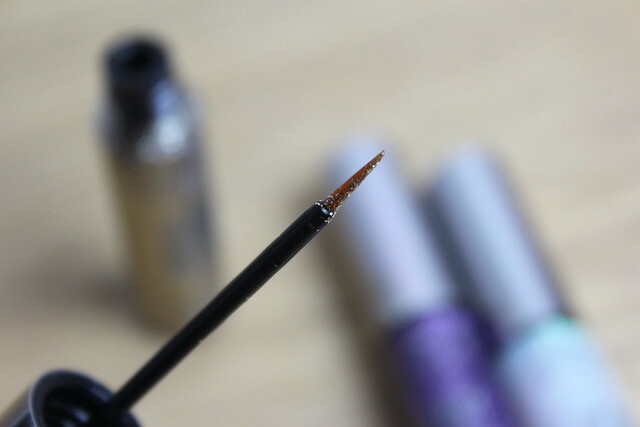 Do you like a touch of glitter for your beauty look or do you prefer to keep things simple and sparkle free? 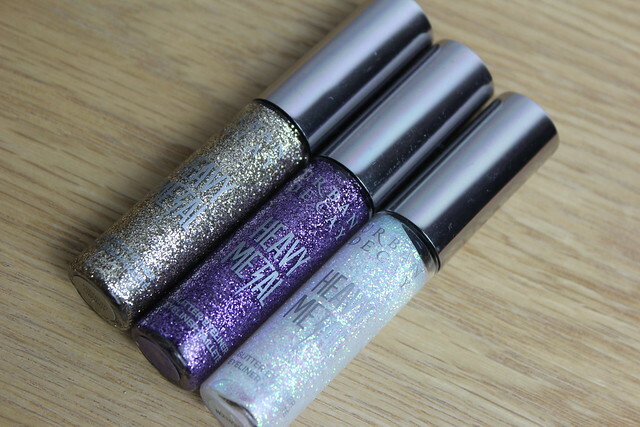 There’s a whole host of other shades available in the range – including the rather gorgeous looking ‘Spandex’ which is a mix of blue purple and turquoise and ‘Amp’ that’s a petrol/peacock coloured glitter liner. 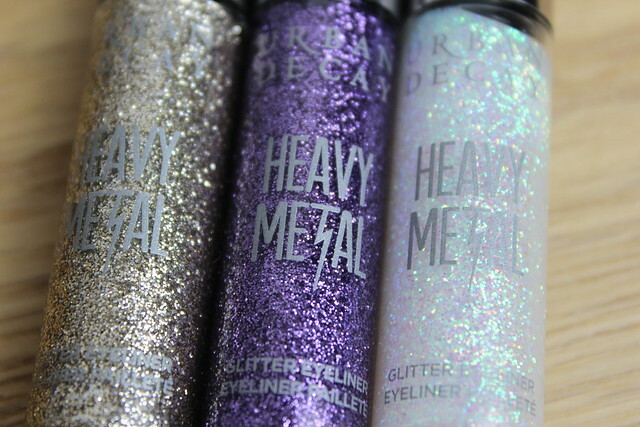 Basically all a little bit sparkly and a little bit rock and roll! 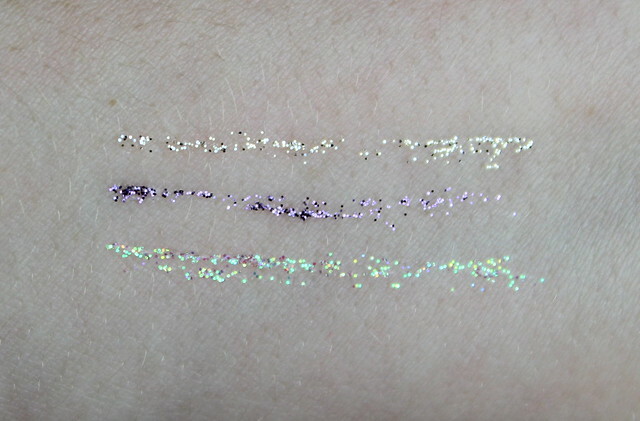 Im not really one for glitter eyeliners. they just don’t really do it for me! But these do look pretty! Oh how I love glitter! These look so beautiful and fun to wear! Thanks for your review!